Leadership is not about status, hierarchy or boxes on an organisational chart. It’s not the preserve of boardrooms and mega-corporations or the elite few. It is everywhere. To me leadership is not a role, not a job title, it is a mindset; a way of approaching life both professional and personal. It is something we can all access and develop if we choose. I call this mindset, The Creative Enabler, someone who is highly open-minded and people-orientated. Someone who is curious, wants to make things happen, is eager to learn and recognises that people are at the heart of everything we do. Exposure to a variety of working scenarios, relationships and expectations combined with the high-skills talent profile of scientists and engineers is a recipe for value creation. It can also lead to excess conflict, challenge and complexity which may result in increased pressure and stress. Creative Enablers understand the balance between performance and pressure; recognising the link to success and resilience. Implicitly or explicitly, every scientist or engineer requires a leadership mindset at different times; provider of specialist knowledge; project lead; heading an industry forum and much more. Consequently, they are in the position to positively influence performance far and wide. 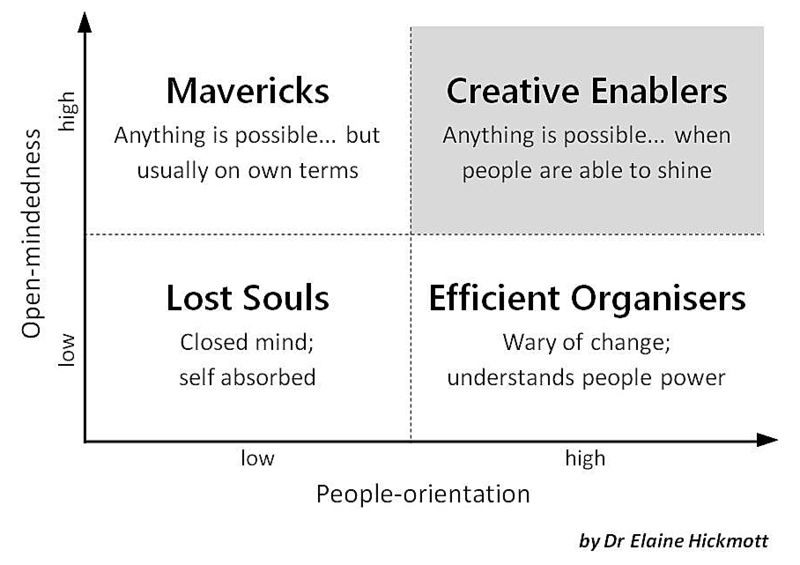 Encouraging and supporting everyone to take the Creative Enabler view in the varying situations they encounter will help them deliver high performance whatever the team scenario. Bringing opportunities to learn, to evolve and extend high-skills and experience. Becoming and remaining a Creative Enabler requires investment in our own development as well as that of others. The Diamond Effect® is my approach to learning and development. It is a philosophy which, when applied, supports, nurtures and develops Creative Enablers and provides a value-based route to achieving high team performance. Creative Enablers harnesses the power of The Diamond Effect®; building value and resilience wherever they go; whatever they do.